Other features our onsite restaurant, the Jantzen Beach Bar & Grill, and our tennis court, The Red Lion Court. Enjoy premium accommodations and amenities at a great value at Red Lion Hotel on the River - Jantzen Beach. 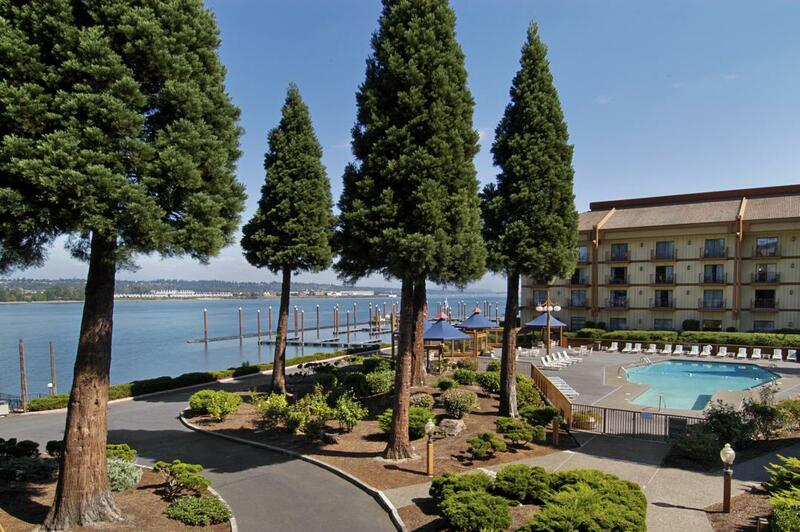 At Red Lion Hotel on the River Jantzen Beach, our favorite feature to share with our guests is our breathtaking views of the Columbia River. However, our rustic Portland accommodations boast much more than great views. Imagine a hotel where you can get your cardio in at a well-equipped fitness center before taking a jog along the Columbia River and cooling off with a dip in a crystal clear outdoor pool, or host with 36,000 square feet of flexible event space and an event planning team to attend to your every need. Red Lion's Columbia River lodging in Portland, Oregon provide all this and more. 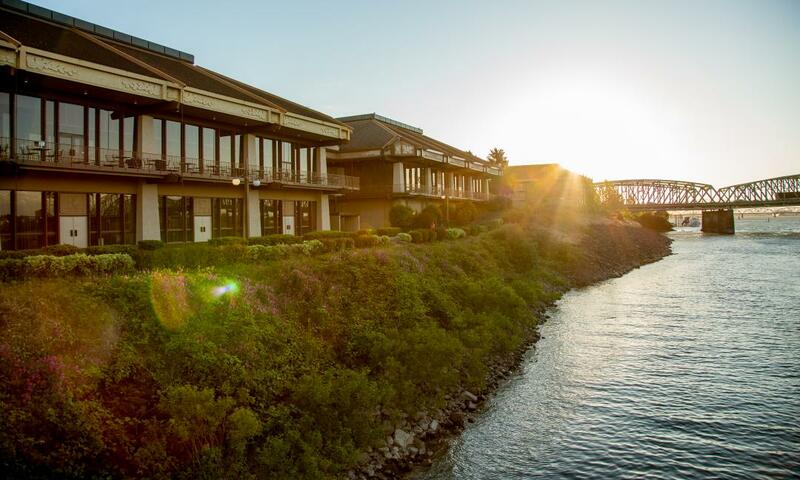 Red Lion Hotel on the River-Jantzen Beach offers business-friendly accommodations for guests traveling on business trips to our hotel in Portland, Oregon. Our business amenities and services promote productivity and efficiency, just moments from elite downtown businesses. Ideal for business trips, our contemporary hotel provides impressive on-site meeting facilities, complimentary Wi-Fi, and a variety of relaxing amenities, including an outdoor swimming pool, fitness center, and soothing whirlpools. Our hotel is also near the Portland Expo Center, making us an ideal spot for convention attendees. Green meetings and events ensure that all aspects of an event, including its location, food services, transportation and the provision of materials, are approached with the goal of minimizing the negative impact on the environment. Not only do green meetings benefit the environment, they often save money, too. Whether you seek to increase your diversion rates, provide locally inspired menus or lower your overall carbon footprint, our seasoned convention managers will guide you through the process to achieve your sustainability goals in our Portland meeting rooms. Tips and resources for recycling in Portland. Travel Portland Green Guide providing lists of local companies that align with your goals. Meet Green was established in Portland and has been leading the way in sustainable meeting management since 1994. They offer several free tools and guides for planning your next meeting. Red Lion Hotel On The River - Jantzen Beach is pleased to offer pet-friendly Portland hotel rooms and accommodations so your whole family can travel together. Featuring rooms specifically designated for you and your furry family member with close access to the outdoors a central location near the region’s top dog parks, pet groomers, and supply stores, ours is among the best pet-friendly Portland hotels. pet fee is $30.00 per night. Lotus Isle City Park 2-minute car ride or 8-minute walk from our hotel. Petco 3-minute car ride from our hotel. In Portland, Oregon, recycling and bike-commuting rates are among the highest in the nation. Portland leads the way among the top 10 U.S. cities for sustainability. At the Red Lion Hotel on the River Jantzen Beach, we provide our guests the balance of comfort with the peace and sustainability of green practices. Discover an array of Portland restaurants on the waterfront, all offering the most delectable seafood and Pacific Northwest Cuisine. 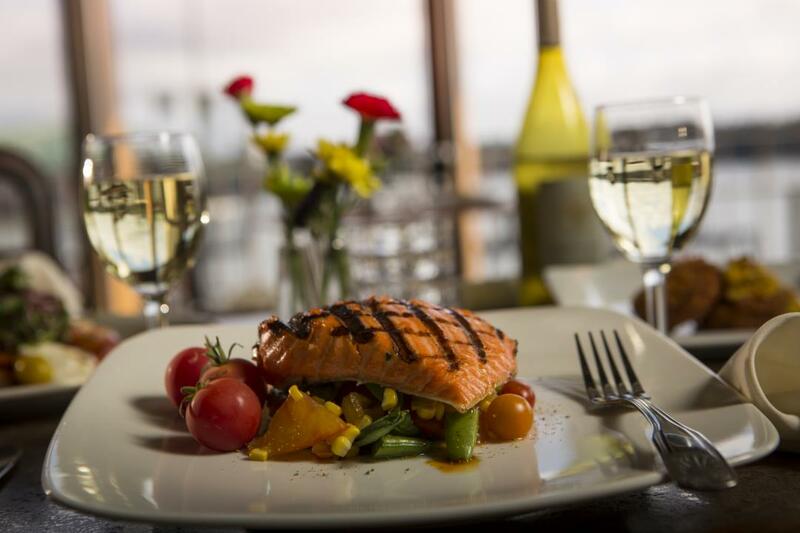 We're happy to recommend a number of delectable dining spots in the area, but Red Lion Hotel on the River Jantzen Beach is home to one of the finest restaurants on the Columbia River. Take a seat at one of our tables overlooking the Columbia River and indulge in the freshest Pacific Northwest cuisine. Our onsite restaurant Jantzen Beach Bar & Grill is a gem among Columbia River restaurants, offering our guests a convenient and delicious option for breakfast, lunch and dinner. Our ala carte menu provides options to please any palate and our selection of fine wines and beer provide the perfect complement to any cuisine. Enjoy regional wine and beer as well as specialty cocktails at this Jantzen Beach hotspot. Join us to dance the night away each Friday and Saturday, or simply sip your cocktail as you enjoy views of the Columbia River. The Portland dining scene is characterized by a varied mix forward-thinking talent and delectable Pacific Northwest standards, leading to some of the best restaurants in the region. Explore some of our favorite offsite restaurants below. Enjoy a taste of New Orleans right here in Portland. This waterfront café serves up tasty jambalaya, muffalatta and red beans and rice every day from 11am to 7pm. This seasonal café opens its doors every day from 11am to sunset May through September. Enjoy picturesque views of the Columbia River while you munch on a fresh lobster wrap and sip one of their classic rum cocktails. Juicy burgers, crazy cocktails and a myriad of musicians all come together in this Baptist church turned recording studio turned bar. Stop in for happy hour from noon to 7pm Sunday through Thursday or noon to 6pm Friday and Saturday or grab a bite to eat any day from noon to 2am. Minors are welcome in the restaurant and patio until 9pm, but all shows are 21 and over unless otherwise noted. This historic movie palace first opened in the 1920's and it's still going strong today. The theater features every film from classic to independent to blockbuster hits, plus it has been honored by the Sundance Institute and the Academy of Motion Picture Arts and Sciences for contributions to the film community- what's not to love? Listen to live music while you practice your pinball skills at this classic bar-cade. The Jantzen Beach Espresso Lounge is the newest addition to our dining options, located in our main lobby. This restaurant and lounge provides those looking for a quick bite with grab 'n go items, including muffins, pastries, salads and more. Enjoy a signature coffee drink from the espresso bar while people-watching or taking advantage of complimentary Wi-Fi available at our Portland hotel. 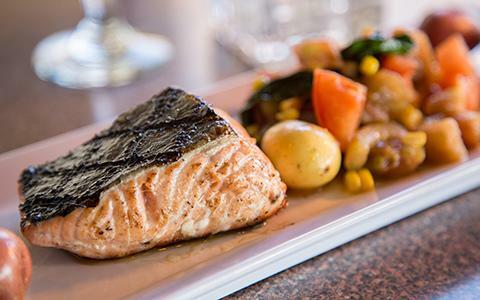 Boasting one of the best views among Columbia River restaurants, Jantzen Beach Bar & Grill offers a delectable Portland, Oregon dining experience with a stylish, upbeat atmosphere inside the bustling Red Lion on the River. Our full-service bar on the waterfront offers hand-crafted cocktails, a "Fair Price" wine list featuring NW wines and some of the best local breweries on tap. 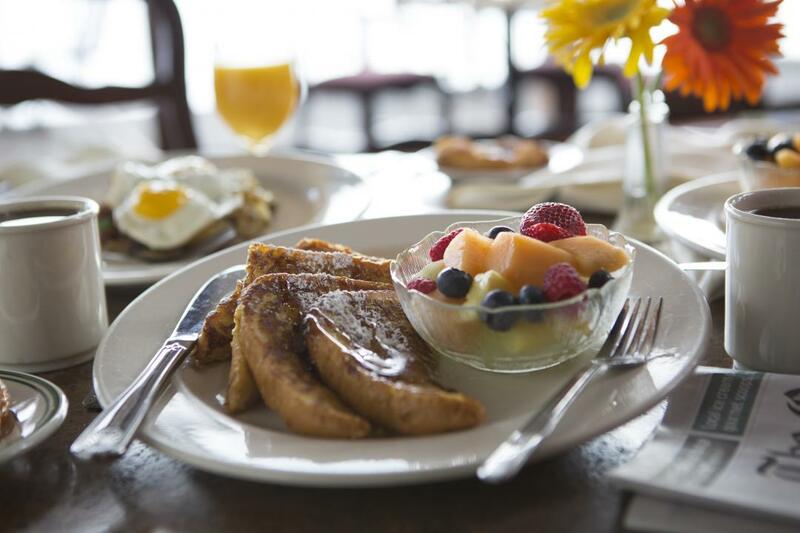 Come on in and enjoy breakfast, lunch or dinner at one of the top restaurants on the Columbia River. Let your hair down on Friday and Saturday nights at JB's Night Club & Lounge, one of the most entertaining restaurants in Jantzen Beach - where you can dance the night away to a variety of music. Featuring Northwest beers and wines, this lively Columbia River bar offers an intimate nightlife experience alongside stunning views. 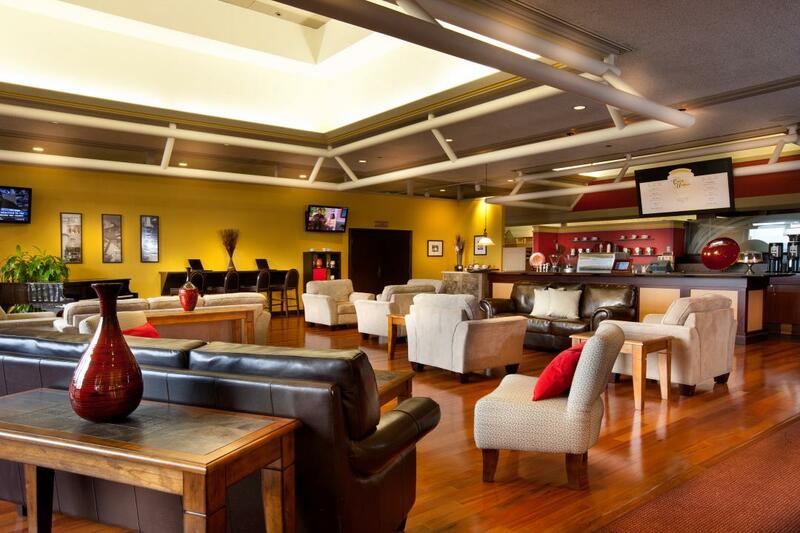 Click here to view the menu, and enjoy this lounge at our Jantzen beach hotel. The $5.00 Dollar Cover Charge is Waived for Hotel Guests. Making every event memorable and seamless, RLH Corporation is happy to help you plan meetings in Portland. 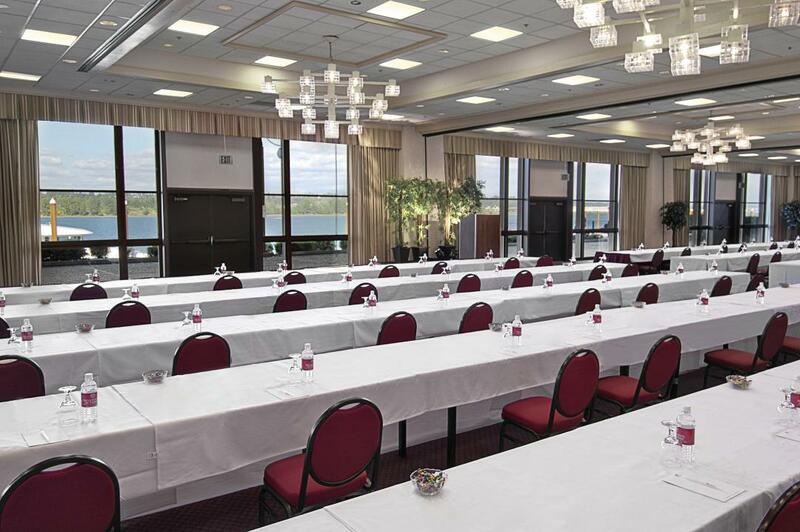 Red Lion Hotel on the River Jantzen Beach offers over 36,000 square feet of flexible waterfront event space is the perfect fit for large or small meetings and celebrations. 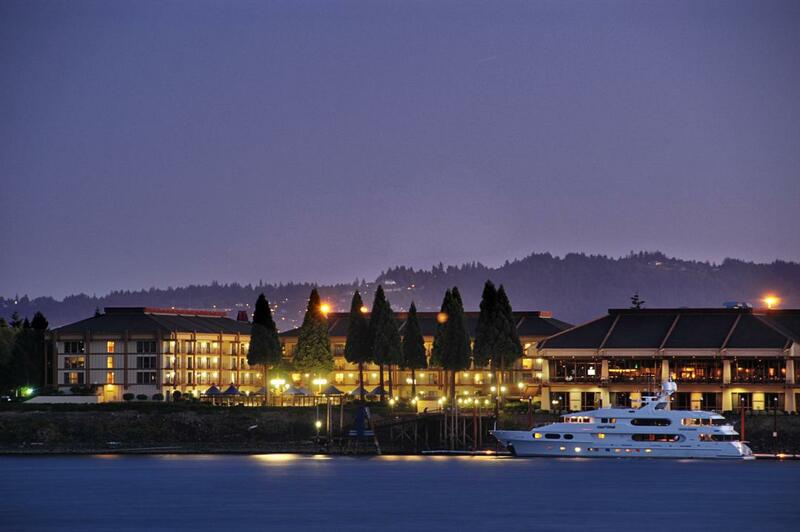 Red Lion's Portland meeting rooms are nestled on the coast of the Columbia River just seven miles from downtown Portland. Our dedicated event planners will ensure that no detail is overlooked. From choosing the perfect menu to supplying the proper audiovisual equipment, our staff will take care of you every step of the way. Indulge in the Flavorful Catering Options From Small Luncheons to Grand Wedding Receptions. Red Lion Hotel & Casino offers top-notch event planning and catering for meetings, weddings and other special events held in our 36,000 square feet waterfront event space Allow our catering specialists to design a menu that exceeds your expectations. Portland is a city that is rich with art, culture, history and most importantly- micro brews. There are a number of exciting attractions to choose from, and when you stay at our hotel in Portland, you will get closer to the best activities. You can explore the many exciting things to do in Portland, including Pioneer Courthouse Square, Tom McCall Waterfront Park, the Oregon History Center and much more. So what are you waiting for? Join us at Red Lion Hotel on the River Jantzen Beach to begin your vacation today. The Columbia River Gorge is a favorite place for wind sports including kite boarding, wind surfing and kite surfing. It is an amazing place to find your own adventure or simply watch others catch some air. Down the Gorge you will find the second largest year round waterfall in the country, a sight that simply cannot be missed. Enjoy a living lesson in the Oregon Territory’s history at this retired military fort. 430 inches of snowfall annually, 85 runs and 11 chair lifts are just a few reasons skiers and boarders are flocking to Mt. Hood. It is also a great place to hike in warm weather. This weekend institution sets up every Saturday in historic Old Town along the Willamette River. The market features everything from fun food courts to handmade crafts from local artisans. Ambers and Belgians, Pilsners and Pale Ales, these are just a few brews that make up the selection of over 80 beers available to sip, celebrate and most importantly taste test at this incredible festival. Help the hungry as you dig those rhythm and blues. For a small entry fee and two cans of food you can party all day at the country’s second largest blues festival. Donations benefit the Oregon Food Bank. This former elementary school is the perfect place to relax on a comfy couch with a movie, pizza and beer. It is the most fun you have ever had in school. Over 200 interactive exhibits and labs make OMSI as fun as it is educational. Kids are happy because they get to play and you are happy that they can learn about renewable energy, global climate, health and wellness, chemistry, engineering, technology and more- it is a win, win. Get a little wild this vacation with a trip to the Oregon Zoo. From the African rainforest to the Arctic, from Peruvian penguins to Asian elephants the zoo’s exhibits are sure to excite and delight. Find the city’s most unique independent retailers selling everything under the sun. Clothing, art music, gourmet food, comics and antiques can be found all over the avenue. Enjoy tax-free shopping at an open air mall that is home to national retailers, unique boutiques and the largest running wooden carousel in the country. Open Monday - Saturday 10:00 am to 8:00 pm and Sundays 11:00 am to 6:00 pm. Enjoy unique finds that you can afford. The Alberta Arts District is rich with handmade soaps, vintage artwork, recycled-material lighting and a myriad of other crafts. As one of the most convenient hotels in the area, Red Lion Hotel on the River - Jantzen Beach makes attending sought-after sports outings, conferences, trade shows, concerts, and other events in Portland a hassle-free endeavor. Rest in Portland, Oregon hotel rooms in close proximity to both the Portland Expo Center and the Delta Park Sports Facility. Our property is a chosen destination among individuals and groups alike. Every year, the Portland Expo Center plays host to the Portland Swap Meet. Hosted annually by six different car clubs, this event is the largest auto part swap meet on the West Coast. Over 3,500 vendors arrive and over 50,000 guests attend. Admission is only $7 on Friday and Saturday, and just $4 on Sunday. Children 12 and under get in for free. Delta Park is a local destination for hosting or attending outdoor activities. Only a short drive from Red Lion Hotel on the River - Jantzen Beach, the park boasts an off-leash dog park, a football field, paved walking/jogging paths, picnic tables, a playground, a soccer field, a softball field, and a volleyball court across 85 acres. Our hotel offers accommodations and amenities like a fitness center and complimentary team bus parking to make stays easier for large groups like traveling sports teams. The Pacific Northwest offers an abundance of adventure for families who are always on-the-go. Whether you’re interested in fishing in Oregon on the Columbia River, watching an auto race at the Portland International Raceway, or feeling thrills at a nearby theme park, there’s something for everyone within easy reach of our Portland inn. Nearby fishing is one of the biggest perks of staying at our Columbia River hotel. Cast your line and see what it is like to feel a plump Sturgeon, Walleye, Coho Salmon, or King Salmon grabbing your line just before you reel it in. You can also enjoy activities like kite-boarding, windsurfing, kite surfing, among other exciting water sports. Shift to something more high-speed at the Portland International Raceway. Guests at Red Lion Hotel on the River - Jantzen Beach can be among the nearby raceway’s 350,000 yearly visitors. Watch drag racing, car shows, bicycle races, sports cars and motorcycle road racing, among other action-packed events, or visit the raceway around the holidays for a spectacular Holiday Light show. Get your scream on at Portland’s historic Oaks Park. Ride the vintage wooden coaster or a stallion on the beautiful carousel at this 100-year-old amusement park within driving distance of our hotel. Guests can find calmer, family-friendly attractions at Kruger’s Farm. Have a rural experience with farm tours, a farmer’s market, mazes, free-roaming chickens and wild turkeys among other attractions when you visit from May 1st through October 31th. Portland has more breweries than any other city in the world. With dozens of breweries in the city, and close to 100 in the surrounding metro area, the city is often dubbed the “beer capital of America.” Delve into the rich flavors brewery around our Portland hotel. It is hard to stand out amongst all the breweries in Portland, but Stormbreaker Brewing is making a name for itself with delicious American fare and unique brews to pique the interest of the most experienced beer drinkers. It is not just brews they have to offer; Stormbreaker boasts a beer and whiskey pairing menu, a casual yet sophisticated atmosphere, and outdoor eating areas perfect for groups of any size. More than just a place to make beer, the Breakside Brewery is part pub and part clubhouse. The Breakside name has a strong reputation for brewing, with award-winning IPAs and special brews. This watering hole offers customers a place to eat, drink, and take in the Portland culture. This award-winning microbrewery and tasting room might be located in Vancouver, WA, but it is still the closest brewery to Red Lion Hotel on the River - Jantzen Beach. Take a quick drive across the Columbia River to Loowit Brewing and try a beer just outside of the Portland city limits. As the most convenient choice among hotels near the University of Portland and other local colleges, people traveling to graduations, parents' weekends, alumni events, and sporting events often enjoy our accommodations for Portland, OR travel. The University of Portland is a diverse learning institution that “honors faith and reason as ways of knowing, promotes ethical reflection, and prepares people who respond to the needs of the world and its human family,” according to the school’s website. The campus is located a quick, 15-minute drive from Red Lion Hotel on the River - Jantzen Beach, guaranteeing visiting friends and family an easy commute. Clark College may technically be in Washington state, but the campus is still driving distance from our hotel in Portland. Guests visiting Clark will have access to all of our onsite comforts, like our signature plush pillow top beds, property-wide complimentary Wi-Fi and private balconies or patios. The Portland Expo Center is a hub for creative professionals from across the Pacific Northwest and beyond. We're lucky to be located less than two miles from the Expo, giving our guests access to one of the best venues for trade shows, conferences, and more in Oregon. The facility is less than a five-minute drive away, and free shuttle service is available from our hotel. With a 52-acre campus comprising five expansive exhibit halls and ten meeting rooms, the 333,000 square foot venue makes anything possible. Equipped with premier planning amenities, the Expo has a wealth of resources for prospective event planners and exhibitors as well. Every year, the Expo plays host to international happenings like America's Largest Antique and Collectible Show (July), the PDX Drive-In Movie Spectacular, and the Vans Warped Tour. Additional events include the Mecum Auctions, featuring the world's largest collector car auction company; Portland Swap Meet, the West Coast's largest auto part swap for antique and vintage cars; and the Sportsman Show, a popular annual outdoor sporting exhibition. During summer 2017, Cirque du Soleil will return to the venue for a limited engagement run of their show KURIOS. Only minutes from Portland’s city center as well as the Portland International Airport, getting to the Expo from our Jantzen Beach hotel is simple. Just take 1-5 south to exit 307, and continue to Marine Drive until you reach the Expo Center at 2060 North Marine Drive. Red Lion will engage and host many first-time visitors to the area through its involvement with the Grand Prix of Portland. It will also be the official credential pick up location for those working the race weekend. Portland International Raceway (PIR) is the home of the Grand Prix of Portland. PIR is a 1.967-mile, 12-turn permanent road course owned by the City of Portland and operated under the Portland Parks and Recreation. Opened in 1960 to host sports car and drag racing, the 268-acre property is the site of over 550 events annually including automotive and motorcycle road racing, motocross, cruise-ins and other special events including the Rose Cup Races.